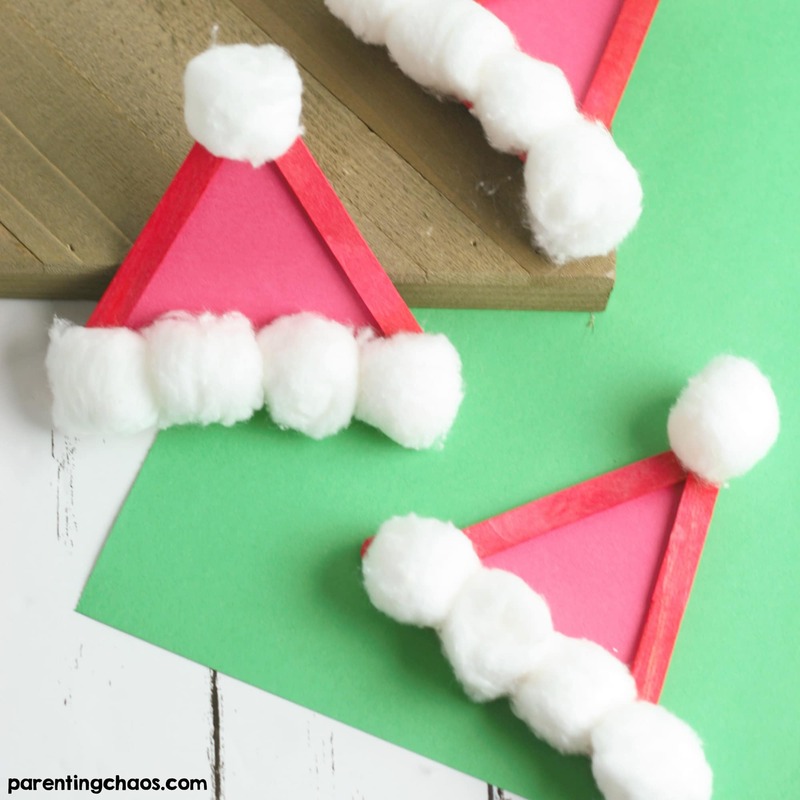 These Homemade Santa Hat Popsicle Stick Ornaments are easy to make and fun to hang up. Your kids will love seeing their DIY ornaments on the Christmas Tree! Before kids, every single year I would decorate our Christmas tree top to bottom with beautiful glass ornaments. Four kids and many holidays later, not many of those ornaments have survived their curious hands. It may have taken more time than it should to have learned this, but now making homemade Christmas ornaments is one of my favorite Christmas traditions to do with kids. Not only is making holiday ornaments a fun way to create memories, it is also a way to remember those memories for years to come! We use affiliate links on site to help you easily find the items we recommend. 1. 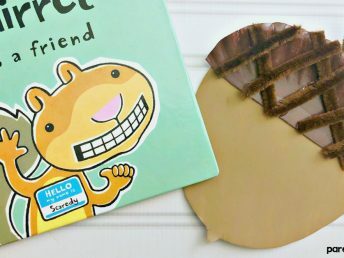 Create a triangle with three craft sticks and glue each stick together at its end. 2.Trace the inside of the triangle on the construction paper or on the back of a photo of your child and cut along the outside of each side. 3. Glue the triangle on to the back of the popsicle sticks. 4. Glue cotton balls along the bottom of the triangle. 5. Glue a final cotton ball on the top of the triangle. 6. To make an ornament, create a loop with a piece of string and attach to the back top of the hat. Then hang on your Christmas tree and enjoy! 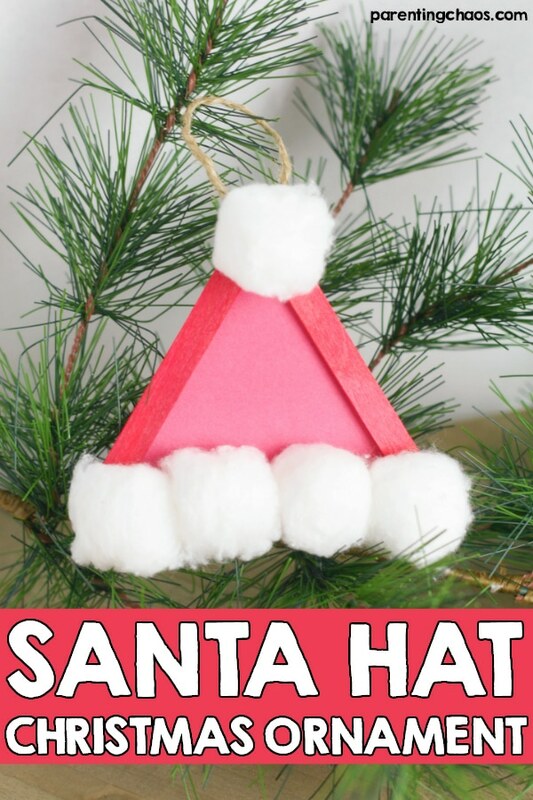 Not making this Craft Stick Santa Hat Christmas Ornament right now? Then pin this post so you can easily find it later!